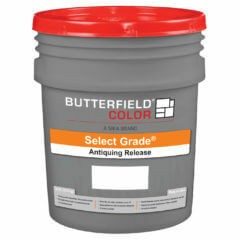 Liquid Release and Powder Release Agents are used as bond breakers when stamping and stenciling concrete. 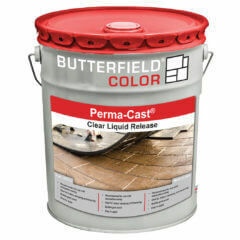 Whether you are using Perma-Cast® Stamping Tools, the Rock ‘N’ Roller® imprinting system, or Perma-Cast® Texture Rollers, release agents prevent the urethane mats and texture rollers from sticking to the concrete. Powder Release Agents are dusted over freshly placed concrete just before the initial stamping process is to begin. 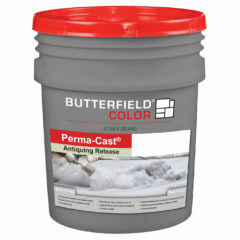 Powder release agent will not only act as a bond breaker for the stamps, but once the excess powder is washed off the following day, it will add a second coloring effect to the textured surface. Liquid Release Agents are used primarily when working inside and when using roller systems. 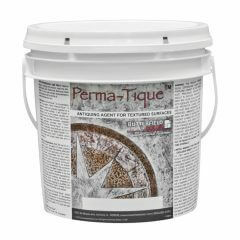 Perma-Tique® Antiquing Agent is applied to unsealed, hardened, and stamped concrete surfaces to impart a secondary color to the surface visually enhancing its pattern and/or texture. Packaged in 5-gallon (18.9 L) metal pails, providing coverage of approximately 750 square feet. Clear liquid bond breaker used with stamping mats, texturing skins or texture rollers prior to imprinting concrete or cementitious overlays. Evaporates quickly and requires little cleanup prior to applying solvent-based curing and sealing compounds such as Clear Guard® Cure and Seal, or prior to chemical staining with Sierra Stain® Reactive Acid Stain. Packaged in 30-pound (13.6 kg) plastic pails. A finely ground, streak free powder blend consisting of UV resistant pigments and water repelling additives. Provides an additional accent color that is permanently embedded into the textured surface of the concrete providing a visually attractive antiqued look. Allows for approximately 1,000-1,200 sq. ft. (93-111 m²) per 30 lb. (13.6 kg) pail. Available in 14 Standard Colors. Also available in convenient, premeasured Perma-Cast® Antiquing Release Mini Packs. Packaged in 30-pound (13.6 kg) plastic pails with tight-fitting reclosable lids. Packaged in 3-pound (1.4 kg) pails. 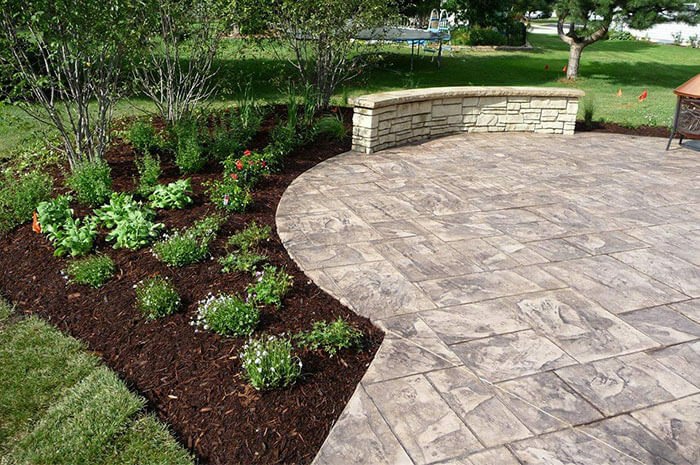 A proprietary blend of powder mixed with water and applied to hardened, unsealed stamped concrete surfaces. Imparts an additional accent color to the textured concrete surface to provide a visually attractive antiqued look. Allows for approximately 2000-3000 square feet (185-279 m²) per 3 lb. (1.4 kg) pail .